What the heck is a Vaydor G35? Well, it’s actually an elaborate body kit for a 2004 to 2007 Infiniti G35. The kit car can be built in under 2 months and for less than $40,000. Before you know it, you too could be driving around town in your own supercar without spending a fortune. While there are many critics of the Vaydor G35 all over the internet, we wanted to share a few of the reasons we think it’s awesome. My favorite part about the Vaydor body kit origin is that it is the perfect underdog story. The kit was designed by Matt McEntegart, a normal guy that loves cars and always wished he could own a supercar. Unfortunately, he didn’t have the money to buy one, so he built it himself. He’s even said that he didn’t go to design school, he just learned as he went. The goal for the Vaydor G35 was to build a car that looked just like a factory production supercar that you could build in your garage. It wasn’t designed by a company looking to make huge profits (though he eventually might). Instead, it was designed by a regular guy that wanted to share his dream of driving an affordable supercar with others. Essentially, the kit just replaces the original body of the Infiniti G35. According to the Vaydor website, 90 percent of what you need to build a Vaydor G35 is from the original Infiniti G35. The rest of the parts needed are included in the kit. Matt says he picked the Infiniti G35 because a lot of engineering development went into the design of the chassis by the manufacturer. Whereas, most modern chassis today have a “junk” design. When the designer, Matt McEntegart, said he wanted to build an affordable kit car he wasn’t kidding. The kit to build your own Vaydor G35 only costs $11,000! Considering that at the end of the project you’ll have a supercar that looks like it cost a million dollars, 11 grand is almost nothing. The funny part is that when the Vaydor debuted at SEMA this year, many people were disappointed that the car only cost about $40,000 total to build instead of $200k to $300k. If you’ve never shopped around for kit cars before, let me give you some perspective. The popular 427 Cobra kit car, which is a staple at car shows everywhere, costs about $10,000 for the fiberglass body. 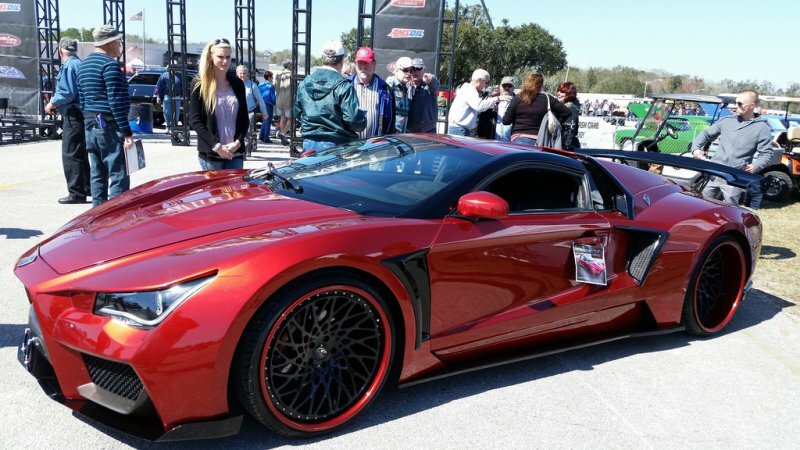 A more comparable kit to the Vaydor G35 would be the GTM Supercar kit by Factory Five which costs almost $25,000. It has been said that building a Vaydor G35 is not necessarily hard but it is a lot of work. 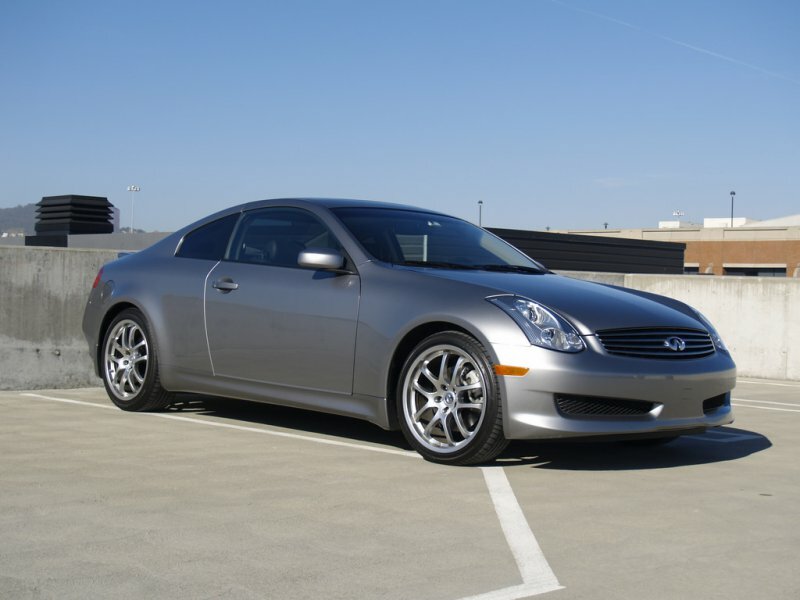 The Infiniti G35 donor car that’s used as the base comes with 90 percent of the parts you’ll need to complete the project. However, you will need some cutting and welding experience if you plan to have any success with this kit. The first step in the process is to cut the car down to the chassis. That means removing all of the body panels, window glass and cutting off the roof. Then, you’ll need to weld in the 8-point roll cage to add strength back into the car. This becomes the base that you’ll attach the new fiberglass body to. While this sounds like a lot of work, the good news is that it does not require you to stretch the chassis or modify the stock wheelbase. You also don’t need to cut any wiring or modify an major mechanical parts. If two months or more of working on a car sounds like too much work, I have some good news. Many custom car builders have been offering to build Vaydor G35’s from scratch for a flat fee. They will even provide the donor car. Base prices start at $75,000 from companies such as Premier Motor Workz and Custom Crafted Cars. You could also contact a local fabrication shop near you to complete the work. However, since they likely have not put together a Vaydor body kit before, your total cost may vary. This is one of the reasons to use an experienced shop that sells Vaydor packages. You may get a higher quality product at a lower cost and in less time, compared to a local fabrication shop. I can’t forget that one of the reasons the Vaydor G35 became so popular this year was because of its recent appearance in the movie Suicide Squad. The film is about a team of DC Comics supervillains that have been recruited by a secret government agency to help with dangerous missions and save the world. One of the main characters in the Suicide Squad movie is the one and only Joker. The Joker’s ride is a pink chrome car that could easily be confused with a Lamborghini to the untrained eye. However, true car fans that watched the movie, knew the car was something completely different than they had seen before. It was in fact a Vaydor G35 with a pink chrome wrap and a custom white interior. Have you ever wished you could get production style supercar without spending a fortune? Well, your wish has been granted. The Vaydor G35 body kit will transform an Infiniti G35 into a sleek supercar with 280 horsepower for under $40,000. Even though the Vaydor is inexpensive to build, there are still very few on the streets due to limited production. In fact, as little as 20 per year are being produced by Vaydor Exotics.